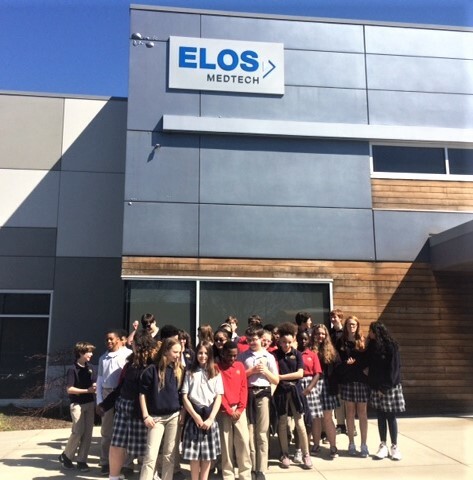 On March 22nd, Immanuel Lutheran School students from 6th-8th grades toured Onyx Medical, a medical device manufacturing facility in Memphis. Onyx is an integral part of Enos Meditech, which has specialized medical manufacturing facilities in the U.S., Europe, and Asia. Onyx specializes in making a complete line of wires, guide pins, half pins, drills, and screws utilizing the latest in process technology and partnering with the world’s leading orthopedic companies. Tour arrangements were made by ILS through representatives of the Greater Memphis Medical Device Council in conjunction with our School’s STEMM program.